A recent flurry of leaks by FBI sources to the media about ongoing investigations related to Hillary Clinton has raised questions about whether bureau personnel are trying to meddle in the presidential race less than one week before the election. A current FBI agent, speaking to The Guardian in a story published Thursday, perhaps put it most bluntly. Clinton is "the Antichrist personified to a large swath of FBI personnel," they said. "The reason why they're leaking is they're pro-Trump." Over the past week, anonymous FBI sources have leaked details about the battles both within the agency and between the FBI and the Justice Department over whether FBI Director James Comey should have recommended that Clinton be indicted for using a private email server amid the investigation into whether she mishandled classified information. The leaks have come as Comey is being intensely scrutinized by both liberals and conservatives over his decision to inform Congress, one week before the election, about an FBI review of new Clinton emails found on disgraced former congressman Anthony Weiner's laptop. The Justice Department asked the FBI not to disclose the discovery of the emails to Congress so close to the November 8 election, according to The New York Times. But Comey wrote to his employees on Friday that he felt "an obligation to do so given that I testified repeatedly in recent months that our investigation was completed." Many agents were apparently upset with Comey's decision in July to not recommend charges against Clinton over her use of a private email server for work correspondences while she was secretary of state. "I don't think the FBI should ever make a prosecution recommendation. I believe Comey was honestly motivated, but I just don't think process- and procedure-wise it was the right thing to do," Steven Pomerantz, a retired assistant director for the FBI, told Bloomberg. 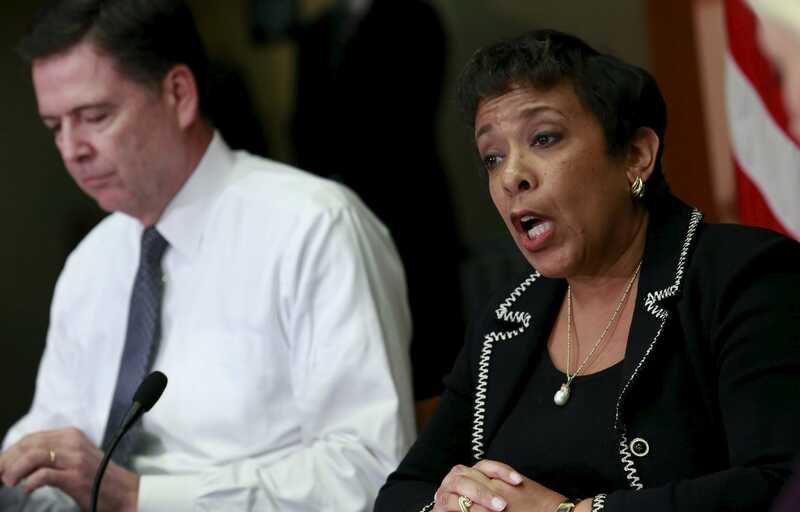 A former FBI official at the New York bureau, meanwhile, told The Daily Beast that some agents even believe Comey "threw the FBI under the bus by taking the heat away from" the Justice Department, which came under scrutiny after Attorney General Loretta Lynch had a private meeting with Bill Clinton in the back of his plane shortly before the case was closed. The Daily Beast report further examined the links between the FBI and some of Donald Trump's staunchest supporters, including former New York City Mayor Rudy Giuliani and Jim Kallstrom, the former head of the FBI's New York office. The strife apparently extended to agency matters involving the Clinton Foundation, as well. Anonymous FBI sources told both The Wall Street Journal and The New York Times that they were told to "stand down" by corruption prosecutors within the public-integrity section of the Justice Department when they presented what they thought was enough evidence to move forward with aprobe into potential corruption within the foundation. FBI sources speaking to the Associated Press on Thursday largely corroborated that account. More sources, meanwhile, told Fox News on Wednesday that the Clinton Foundation probe had recently become a "very high priority" for the agency. 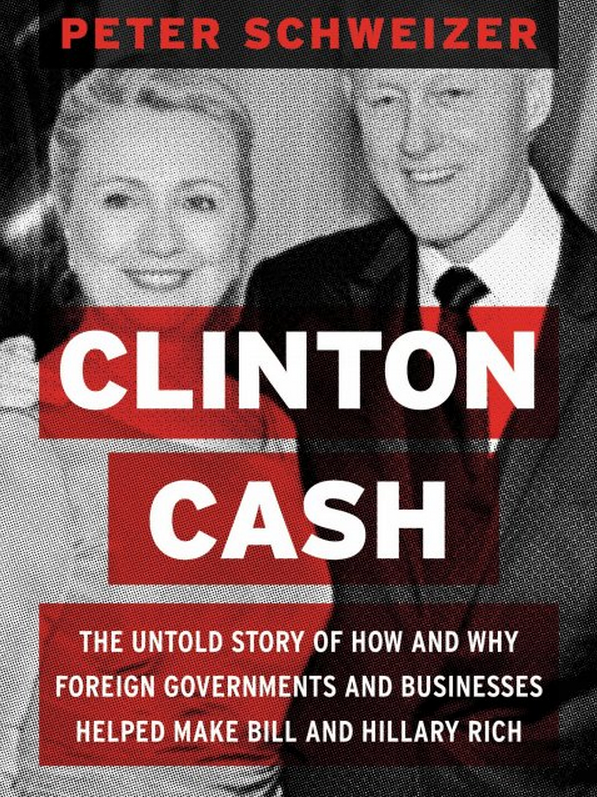 The investigation was initially inspired by claims contained in the 2015 book "Clinton Cash," which claimed the foundation traded favors and access for money while Clinton served in the State Department between 2009 and 2013. No evidence of criminal wrongdoing by the foundation has been uncovered, however, according to the reports, which has apparently led prosecutors to worry that they would be perceived as trying to influence the outcome of the election if they moved forward with the probe. The Clinton Foundation has accepted millions of dollars from foreign actors including Saudi Arabia, Qatar, and the United Arab Emirates. But the money was donated either before or after Clinton's tenure as secretary of state, according to PolitiFact. But much like they blamed Comey for fumbling the Clinton server case, personnel within the FBI have reportedly accused the agency's No. 2, deputy director Andrew McCabe, of caving to Justice Department's demands by not taking on the foundation case more forcefully. Ultimately, however, much of the agents' frustration — and why they're now venting that frustration to the press — may boil down to partisanship. "The FBI is Trumpland," a current agent told The Guardian, noting that some have openly discussed voting for Trump next week. Accordingly, FBI leakers now appear to be sending a message to their superiors — and to the Justice Department —that they're unsatisfied with their leadership by publicizing the investigations and forcing them into the court of public opinion. Further evidence of the strife, according to former Justice Department spokesman and Trump supporter Mark Corallo, came on Tuesday. A mostly dormant Twitter account operated by the agency suddenly publicized records related to former President Bill Clinton's 2001 presidential pardon of hedge fund manager Marc Rich on his last day in office. 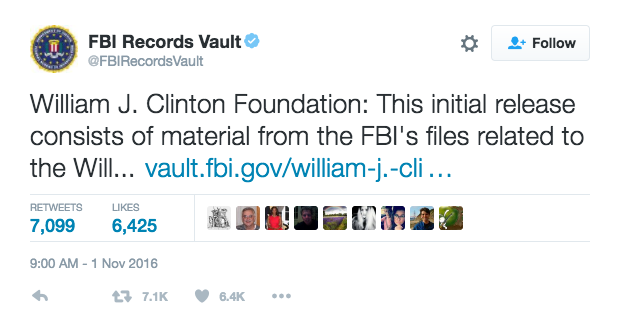 Hillary Clinton's campaign and other observers jumped on the tweet, questioning whether it was appropriate for the FBI to begin releasing documents related to Bill Clinton one week before the presidential election. "The Marc Rich tweet is evidence of open warfare between the Justice Department and the FBI," Corallo told Bloomberg, noting that it may have some FBI field agents' way of further undermining confidence in the way the agency's leaders have handled the Clinton investigations. The FBI tried to explain away the tweets by saying it was standard operating procedure for the FBI website to publish documents that had been requested under the Freedom of Information Act (FOIA) more than three times. But that doesn't explain why the documents were then broadcast on Twitter after more than a year of inactivity from the account. The documents relating to Fred Trump, moreover, were published on the bureau's website on October 7 but tweeted on October 30. At least former FBI official has pushed back on the notion that political partisanship is fueling the agency leaks. "There are lots of people who don't think Trump is qualified, but also believe Clinton is corrupt," the official told The Guardian. "What you hear a lot is that it's a bad choice, between an incompetent and a corrupt politician."